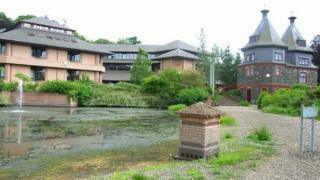 "Urgent action" is needed to tackle a deficit of nearly £2.5m in Powys schools, the council's cabinet has said. The majority of the deficit comes from nine of the county's 12 secondary schools, according to the council. It said the position was "healthier" among the county's primary schools. Deputy council leader Aled Davies said: "We have to take urgent action together with the schools to address the current unsustainable provision." Two of the county's special schools have a combined deficit of £367,000 with the third recording a surplus of £150,000. A local authority spokesman said the total deficit also took into account loans, provided by the council, which have not been repaid. Councillor Davies, also cabinet member for finance, said: "Any action taken must be evidence-based and must deliver a sustainable schools system for the next 10 to 20 years. "Financial sustainability has to go hand in hand with educational excellence, I want to see Powys schools deliver a consistently high standard of education for our young learners across Powys." Of the 34 schools with deficit budgets, 17 submitted plans that showed they would return to surplus within two years and had their deficits licensed by the cabinet. Councillor Myfanwy Alexander, cabinet member for education, said: "We see a considerable number of schools facing considerable difficulty and as an authority we must provide a challenge to them but also provide them with support. "It is clear that medium of delivery and size are not crucial factors and we have to find out what are the crucial factors. "We have to ask 'are our schools correctly configured, are they correctly managed and are they correctly resourced?'. "We are undertaking a funding formula review to bottom out if our schools are properly resourced. We must regard this issue as our highest priority."